Lightspeed Attenuator sounds like no other preamp, passive or active. 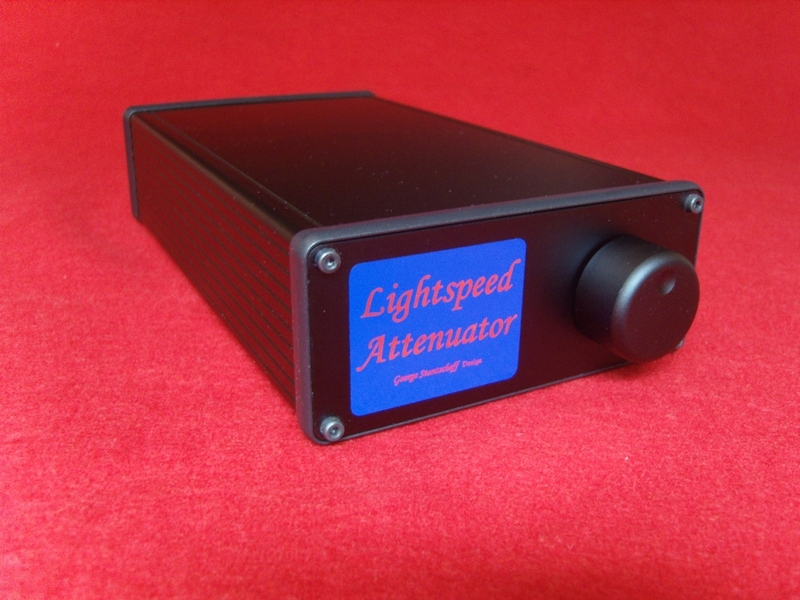 The best way to describe the Lightspeed Attenuator is that it sounds like you have plugged your CD player directly into your power amp—with no preamp or contacts in the signal path. Common to all potentiometers “volume controls” in preamps is a very light-pressure, pin-point-sized contact area between the wiper surface and the resistive track. In these potentiometers, the situation is at its worst because the pressure of the wiper is intentionally light so as not to wear out the carbon or plastic resistive track. It would appear that the rise time of music causes the contacts to become poorly conductive at such levels and creates a “diode effect” that tries to rectify the AC music signal and turn it into DC, this is bad news for the ac music signal. For want of a better term, I called this dynamic contact bounce; and it disappeared once more pressure was applied to the wiper. This is why I believe the Lightspeed Attenuator offers the cleanest, most transparent sound—top to bottom—that one can achieve because it has none or any other of these contacts in the signal path. And in the case of RCA interconnects, the contact area is thousands of times larger than a potentiometers pin-point wiper contact, and the pressure is much higher, so the phenomena does not seem to occur—although I think maybe it does in a small way. Ever wonder why your system sounds better after you’ve done a good clean-up of your RCA plugs and sockets? Source Output impedance: Should be less than <1kohm (1000ohms) which most are. Email me for pricing and shipping costs.